Port Talbot is one of only a few harbours in the UK capable of handling cape-size vessels with a dead weight tonnage of up to 170,000. The port is located within easy reach of the open sea, has direct mainline rail access and lies adjacent to the M4 motorway and comprises of the Tidal Harbour and docks. The port is a vital transportation and cargo hub for industries located in South Wales including Tata Steel UK. 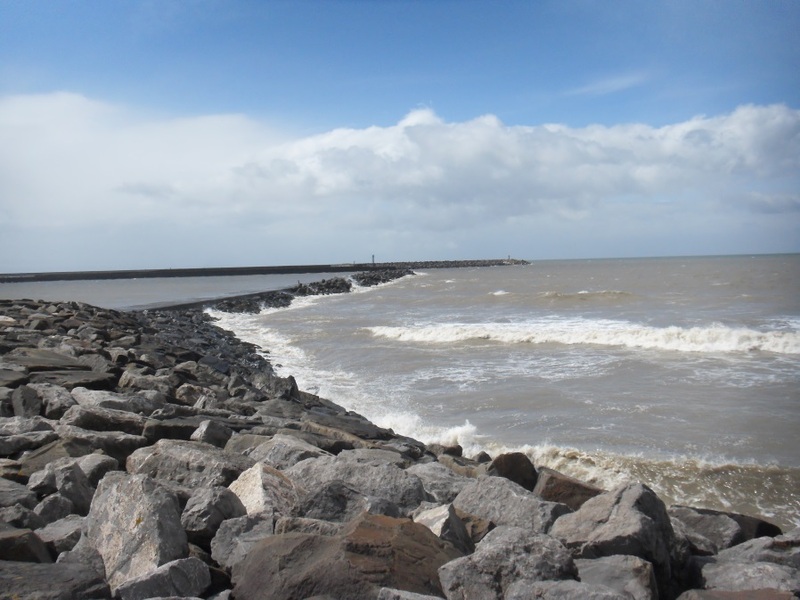 Our Client, Associated British Ports South Wales (ABP), undertakes continual assessment of the four breakwaters and instructs scour protection works as necessary. This project involved the protection of both sides of Lee Breakwater and the Main Breakwater. The first stage of the project required the offsite construction of approximately 100 mass concrete tripod blocks and their subsequent placement on Lee Breakwater. 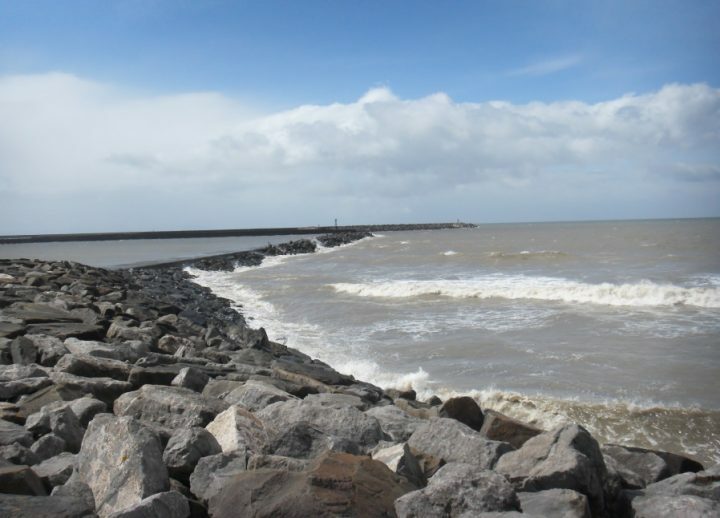 The second stage included the sourcing and placement of approximately 100 natural rock amour each weighing 6/8 tonne on the Main Breakwater. 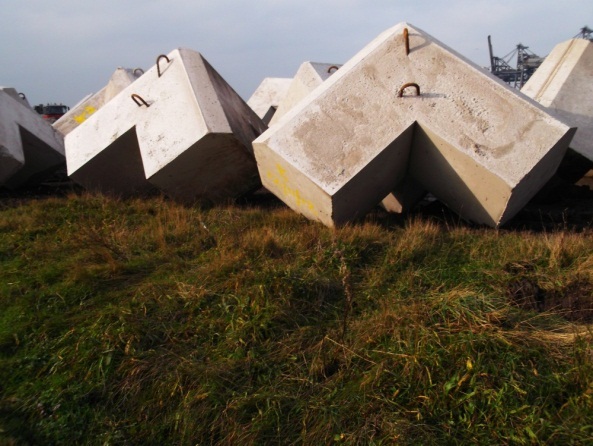 The mass concrete tripod blocks were precast on site at a Griffiths facility and transported by articulated dumpers in pairs to the port. A crawler crane was utilised to position individual tripods to the satisfaction of the Client. The crane was then repositioned on the Main Breakwater and used to place the natural rock amour which was sourced locally and delivered to site. Precast works were undertaken in September 2012 and were ready for placing in suitable Spring tides of October. All works were delivered to the satisfaction of ABP and within budget. 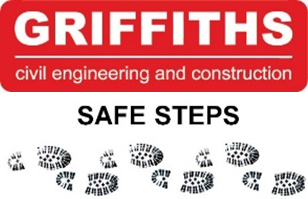 A Community Engagement Plan was implemented in order to minimise any disruption to the operational port and ensure all stakeholders were kept informed of progress and any possible traffic or pedestrian management.